One of my meal prepping habits is to make a large quantity of protein that can be used in a multitude of ways throughout the week. 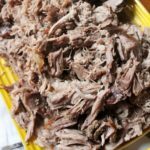 Making pulled pork in the slow cooker is one of my favorites. Because I don’t cook it with recipe-specific spices and flavors, it can be transformed into many meals relatively easily. Throwing it in the slow cooker makes it even better for meal prepping, because it takes little to no effort. When you’re preparing meat to keep on hand for the week, it’s important to think about the things you’ll be needing it for. If you have dinners totally prepped, you most likely won’t need it for those meals. Vice versa for breakfasts. You’ll want to take that information and use it to prepare a meat that will work for your needs and fill the holes in your meal prep to make those meals easier. For example, if I’m not meal prepping lunches specifically, I might want to bake a few chicken breasts during my meal prep that I can then cut up and throw onto salads for easy lunches. 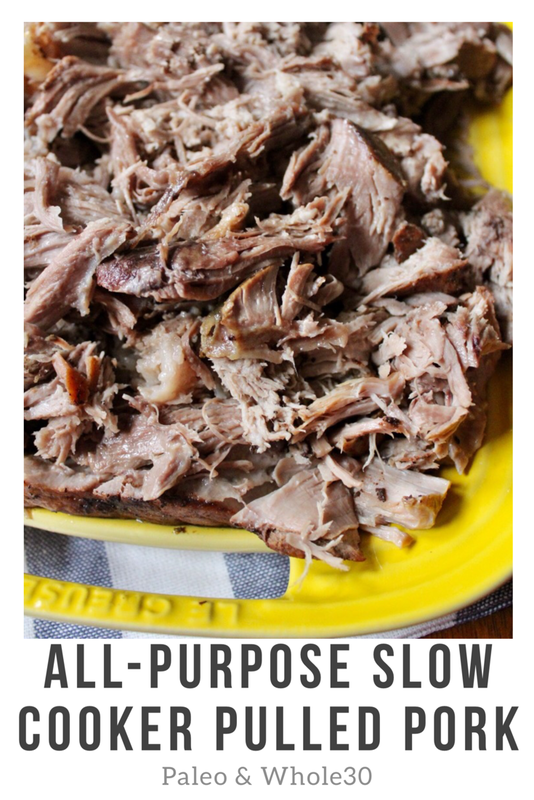 Or, like me this week, you might want to make all-purpose slow cooker pulled pork. 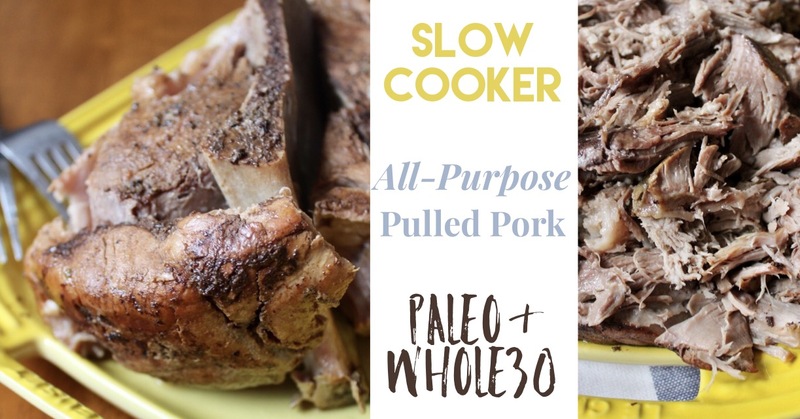 The pork can be used in breakfast skillets, crisped up quickly in a pan for carnitas, pared with roasted veggies for dinner, the options are endless. I often buy a pork shoulder that’s big enough so I have plenty of pulled pork to freeze half of it. This makes meal prep even easier a few weeks down the line. As if throwing something in the slow cooker wasn’t easy enough, right? 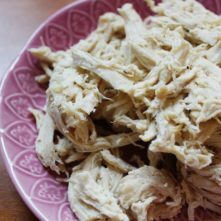 After it’s been in the slow cooker all day, it’s effortless to shred and only takes a few minutes to divvy up into portions or to just throw in a large container. 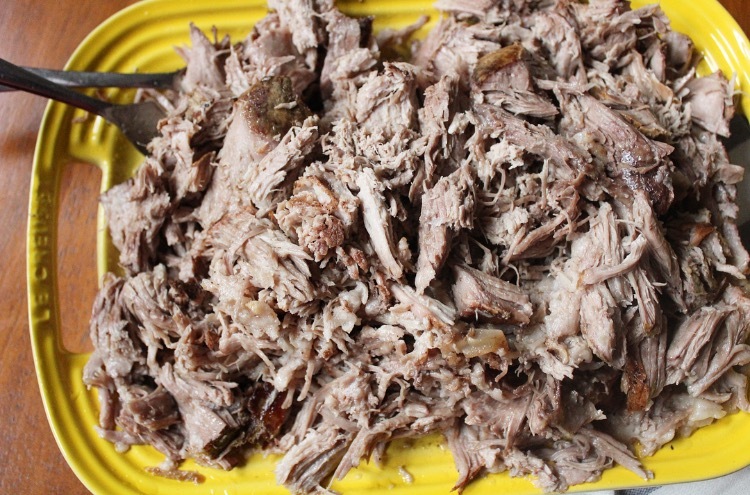 There’s tons of ways to make pulled pork in the slow cooker. If I’m making it for a specific recipe, I’ll use a specific seasoning. 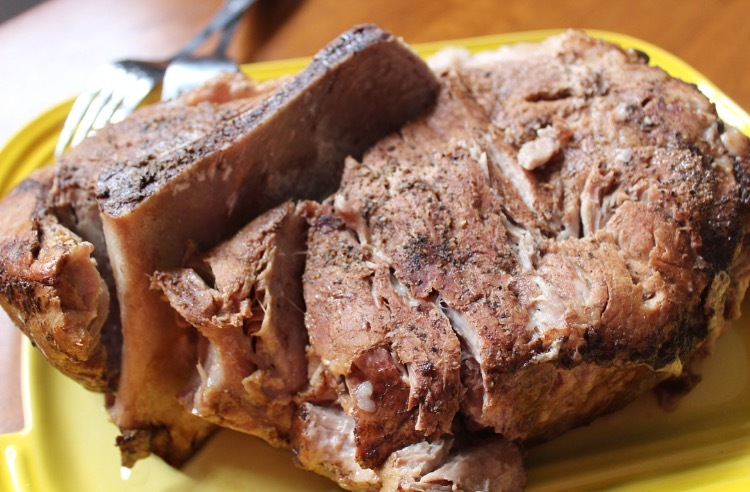 However, especially with a large cut, I prefer to skip the flavorful seasonings that may limit the way I can use the pork later on. 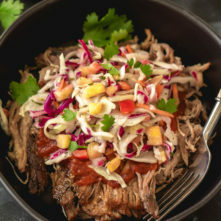 I use just enough spices for the all-purpose pulled pork to make it juicy and tasty, without making it something I wouldn’t want for a breakfast bowl, for example. Plus, like I mentioned, it freezes well. Which is perfect for when I do have a specific recipe I want to make with a meal sized portion I had previously frozen. Love your new website! 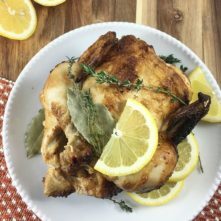 I’m making this in the slow cooker because I left my liner for my Instant Pot at my friends cabin a couple of weeks ago….ugh.. You never know how much you rely on it until you don’t have it! I’ll let you know how it turned out! Made it yesterday and pair with some roasted veg. Soooo good! Hubs liked it too! Thanks Bailey!